These are questions asked by the many teams, missionaries and interns that come to Ethiopia with Blessing the Children each year. Our response is always the same – BRING VITAMINS! While the children are provided with food support each month, a healthy breakfast at the BCI Academy and a full serving of milk from the Milk Program, they are still not getting all the vitamins and minerals they need through their meals. Blessing the Children strives to fulfill each child’s nutritional needs so the lack of nutrition in the children’s food is made up through daily multi-vitamins. Unfortunately, the only children’s vitamins available in Ethiopia are in liquid form and judging by the high cost – you’d think they were made of gold! So the best option we have found to provide the children with their daily multi-vitamin, is to bring the vitamins in from the U.S. and Canada. With 146 children currently in the BCI Sponsorship Program, that is approximately 4,380 vitamins a month and a whopping 53,290 vitamins a year! With the cost of vitamins to be around $6/bottle for 100 vitamins, that averages around $3,200/year that we spend on vitamins for the children – which is well worth the investment, but…isn’t there a better (and cheaper!) way? A recent team member, Mark from Illinois, saw this great need and the importance of vitamins for the children and took it upon himself to do some research and see how he could help. Mark contacted a few people and was able to find a vitamin supplier who would provide BCI with 100-count children’s multi-vitamins with iron, for only $1.75/bottle. That is less than 1/3 of the cost! Mark is also able to arrange to have the vitamins packaged and shipped via air freight to Ethiopia and he has generously offered to cover the cost of shipping! All we need to do is provide the funds for the vitamins themselves, which are already at a discounted rate. What an amazing opportunity! 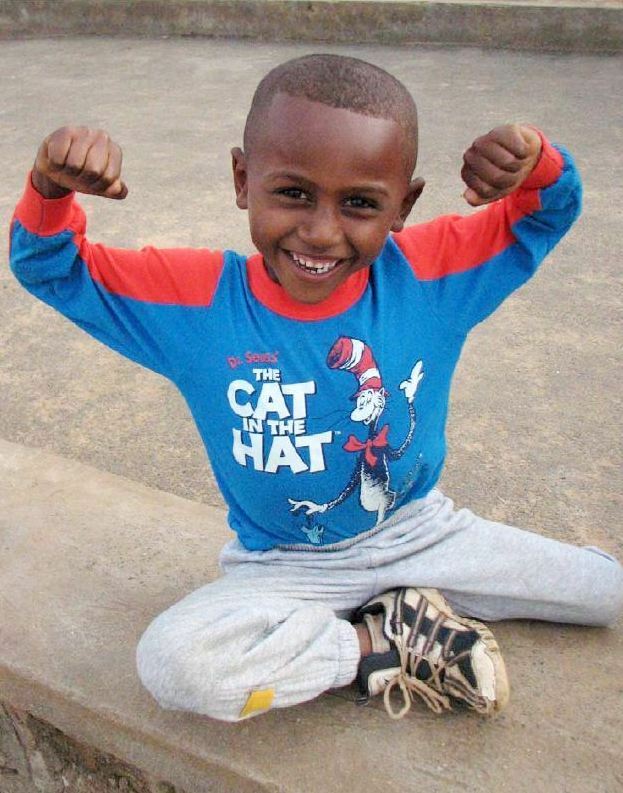 Our goal is to send just over a one year supply of children’s multi-vitamins to Ethiopia. The amount needed to do this is $1,008 for 576 bottles (24 cases) at $1.75/bottle. Would you consider helping us in this amazing opportunity to provide the children with a years supply of multi-vitamins? We can’t do it without you! To make a donation, please visit our donate page ( http://www.blessingthechildren.org/Donate/index.html ) or email our Program Director, Melissa, at Melissa@BlessingtheChildren.org. Every little bit brings us closer to our goal of strong, healthy children! I have lived in Ethiopia for 10 months now. I see poverty, desolation, and pain all around me. I don’t understand all of the things that I see. I don’t understand why God lets certain things happen to his children. I don’t know why God allows some families to struggle financially while other families never have to worry about money. Through my prayer for the families I have met in Debre Zeit, Ethiopia God has shown me that it is not for me to ask why-it is for me to do. While I can’t financially help everyone I meet, I can be an advocate for them. We are told many times in Scripture that we are to help the poor. In Matthew 25 we learn that if we help someone in need than we are doing it as if we are doing it unto Jesus. That is amazing to me. When we feed or clothe someone in need it is as if we are feeding or clothing Jesus. I love that! When we do these things we show God’s love lives in us. Contrastly, 1 John 3:17 says “But whoever has this world’s goods, and sees his brother in need, and shuts up his heart from his, how does the love of God abide in him?” The Apostle John is telling us that if we have and we refuse to give to the poor then how can God’s love be in us? God is a giver. He gave His Son to us, He gives us His love, He gives us His joy, He gives us His Creation. If we are to be like Him, how can we not give as well? I had all of these thoughts after I met Alemayhu Abera and his family. Alemayhu is an eight year old little boy in the BCI program. He lives in a small house with his mother, two sisters, and brother. His father died about four years ago after falling off of a house while doing construction. 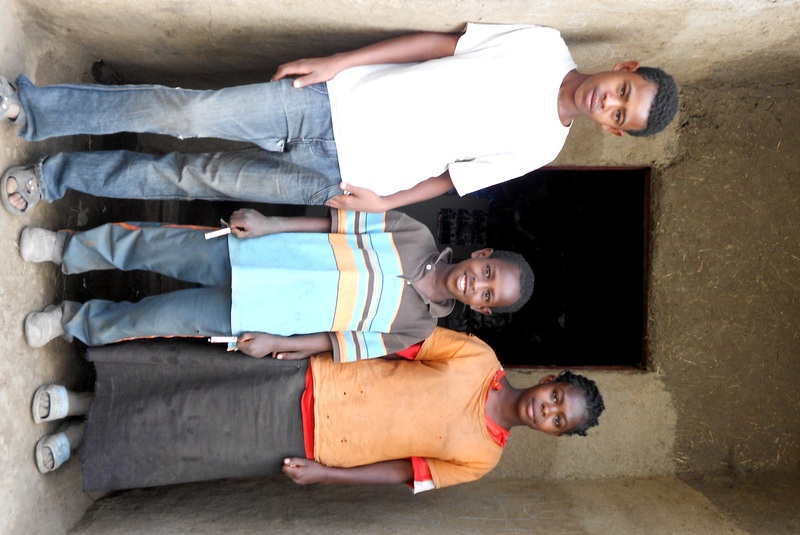 Alemayehu Abera with his brother & sister. Alemayhu’s family has struggled intensely for the past four years. His mother walks approximately two miles one way to work where she works for 12 hours a day, seven days a week. She works at a local factory where she cooks injera (local bread) for the factory workers. At the end of the week she is allowed to take the injera scraps home to her family. These are moldy, soggy scraps of injera that she collects to take home to her children, because she very limited things to feed them. Even though she works 84 hours a week she only makes 300 birr ($17) a month. The rent on their house that has no kitchen, no bathroom, no running water, and no electricity is 100 birr ($5) a month. That leaves 200 birr ($12) a month to feed and clothe a family of five. Even though food and clothes are cheaper in Ethiopia than they are in America, it is impossible to feed and clothe a family of five off of $12 a month. The family relies on BCI’s monthly grain support to help them eat, however, only Alemayhu is in the BCI program so the BCI support is not enough to cover the whole family. I went to visit this family to see how we could help them. I would like to find full sponsorship ($90/mth) for Alemayhu’s sister, Emebet. Emebet is 10 years old. I wasn’t able to meet her because she has been sent away for the summer to live as a servant in her teacher’s house. Emebet attends school four miles from her house. During the summer, she is sent to live as a servant for the teacher’s family. 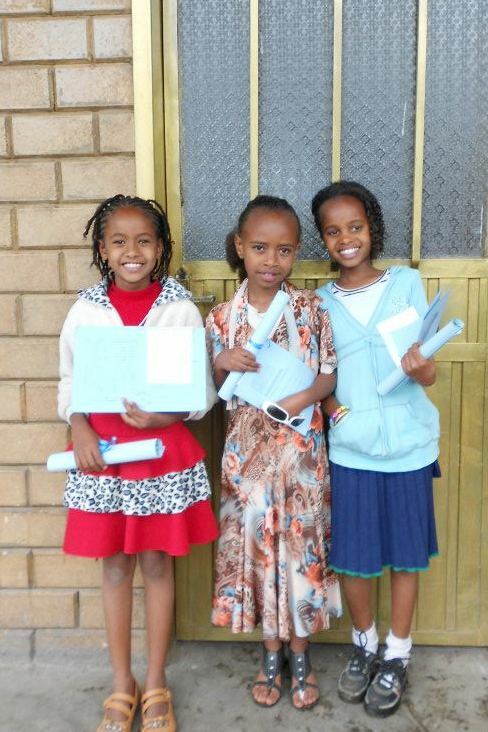 Emebet does not get paid but the teacher provides a uniform and books for Emebet to be able to attend school the following year. If a full BCI sponsorship is found for Emebet then she will be able to enter the BCI program where she will receive a free education, monthly food support, and health care. She will no longer have to be a servant just so she can go to school. I also would like to find someone to help send Alemayhu’s oldest siblings to BCI Academy. 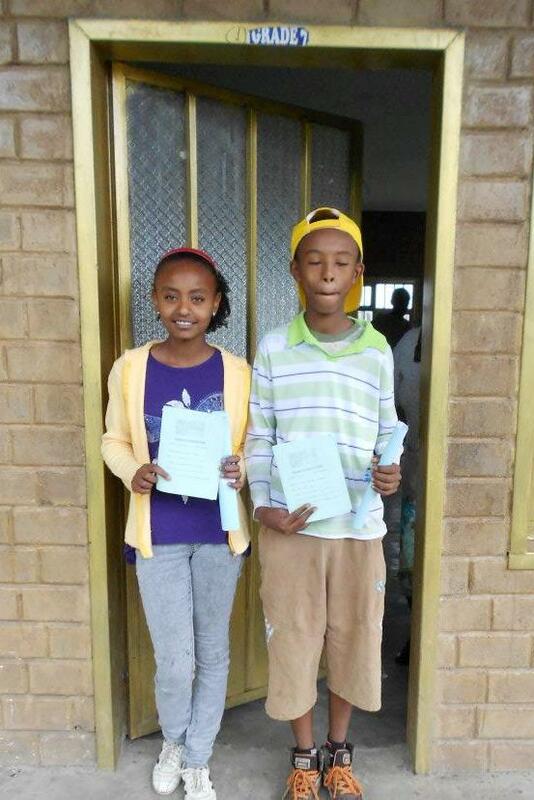 Assagidutch is 15 years old and Getahun is 14 years old. They will be entering grades 7 and 8 next year. Currently, they attend government school. Government school in Ethiopia is not great. It is only half day, whereas, BCI Academy runs all day. Also, the class sizes in government school average 80 kids to one teacher. The class sizes at BCI Academy average 25 students to one teacher. The children will receive a much better education at BCI Academy then at government school. BCI Academy costs $208 a year for non-BCI, paying students. If we find donors to fund a scholarship for Assagidutch and Getahun for this coming school year then they will be able to attend BCI Academy even if they are not in the BCI program. Would you please prayerfully consider helping out this family? They are the “least of these” by economic standards but their faith is so strong in God. They praise God everytime they receive the monthly grain support from BCI and they praise God every week that the mother’s employer lets her bring home stale and moldy injera for the family to eat. Would you prayerfully considering helping in one of the following ways? *Sponsor Emebet to enter the BCI program at $30, $60, or $90 a month. *Help to send Assagidutch to BCI Academy next year ($208 is needed). *Help to send Getahun to BCI Academy next year ($208 is needed). Any and all help for these precious orphans is greatly appreciated. I can’t even express to you how even a small gift can make a huge impact on their lives. God Bless You! 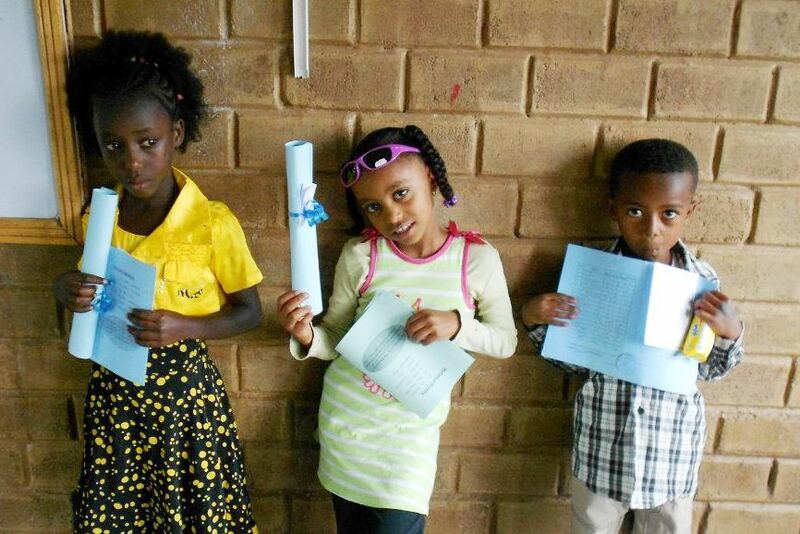 The BCI Academy recently had its 2012 Promotion Day where the children were presented with their year-end report cards and promoted to the next grade. It was a day filled with fun, fellowship, dramas and singing. Heavy rain fell outside but it did not dampen the mood of the day. It was a day to celebrate accomplishments and celebrate, they did! Grade 2 performed songs for the crowd that gathered and everyone loved the motions and movements they added to the songs. Next, a group of older children performed a drama. The drama was funny but it held a good moral about taking your education seriously. There is a time for everything – a time to play and a time to study. The highlight of the day was the Certification Ceremony where Principal Mulugeta announced the top three students of each grade. 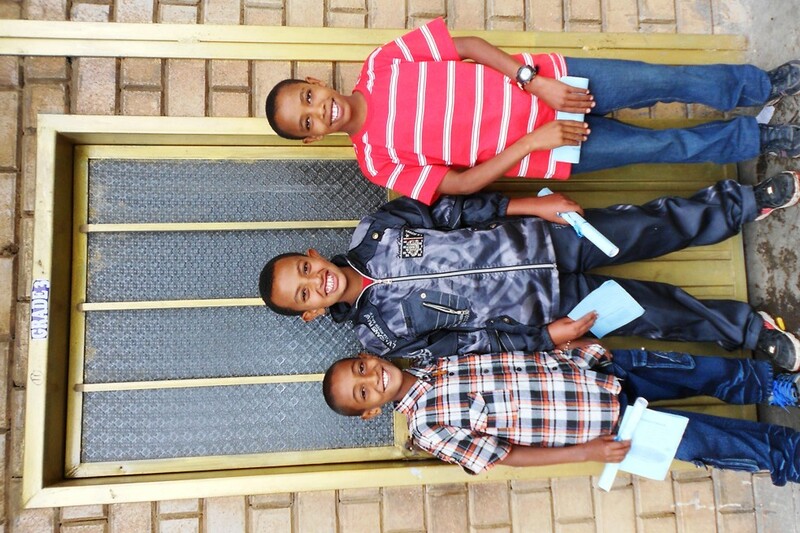 Each of the top three students from every grade was provided with their report card and a certificate of achievement. It was a heartwarming time to see the children whoop and holler with excitement – showing their support for their fellow classmates. Congratulations to the top performers! 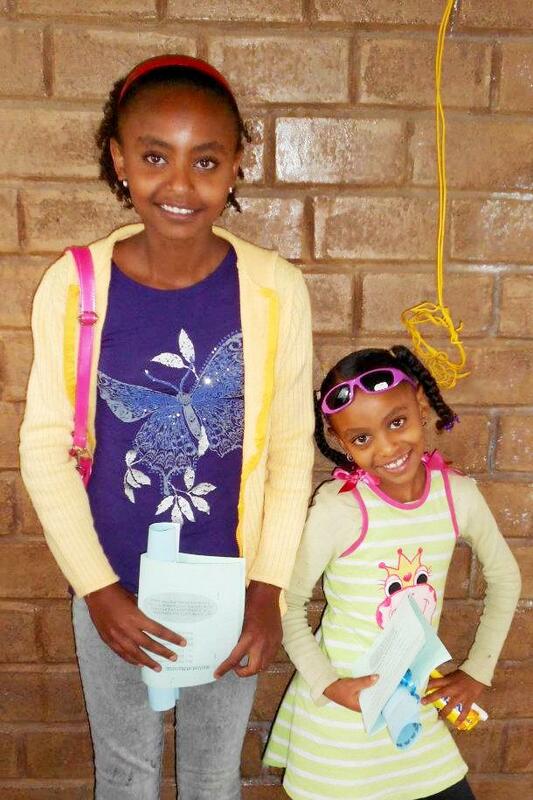 Sisters Israel and Abigia both placed top in their grade levels!